The 2019 RAM 1500 is getting a lot of attention for its best-in-class and class-exclusive features. Find out what trusted sources have to say about the all-new 1500. From the updated interior to the increased towing, and multiple cab and bed length options, the redesigned RAM 1500 is definitely worth your attention. 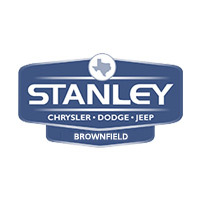 Feel free to contact us at Stanley Chrysler Dodge Jeep Ram Brownfield, or stop by our Brownfield dealership to learn more about why the 2019 RAM is deserving of the accolades.